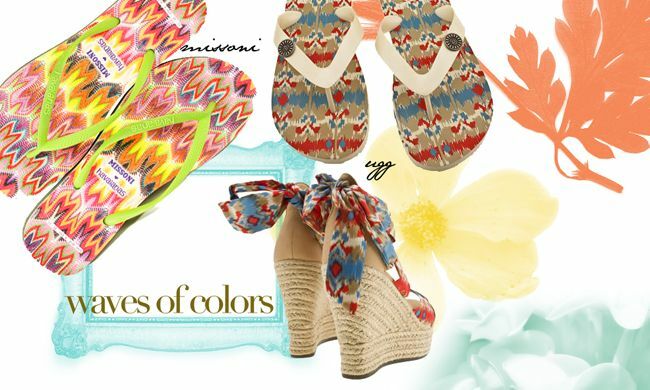 Prepare to bare this summer with the Flare Ikat from UGG Australia and the exclusive Missoni x Havaianas flip flops. Top quality, super squishy flip flops for classic sandal style. The UGG Australia flare ikat sandals and espadrilles are available for purchase at Schuh, prices are £35 and £140 respectively. Missoni x Havaianas is available in Slim and Top styles, you can get them at various Havaianas store island wide for 89.90SGD or get them online from Nordstrom. Beautiful, amazing colors. perfect for summer.